or simply Platanos. It is named after the plane tree which once occupied the centre. The politicians of the nation would make speeches under that tree. 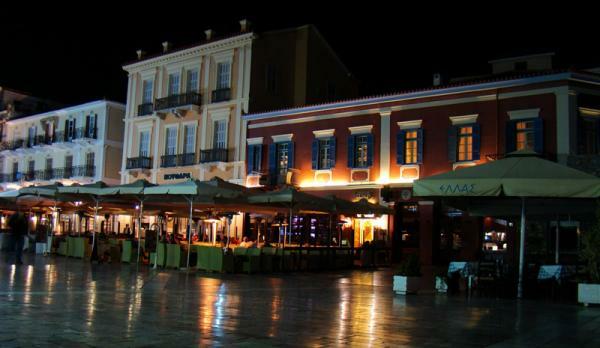 It comprises the center of the city and is a beautiful big square surrounded by quaint cafés and tavernas. 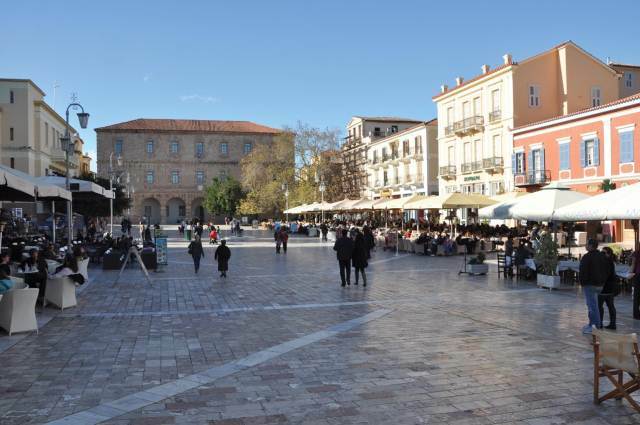 Syntagma Square is lined by historic buildings like the old parliament, the Palace of the first Governor Ioannis Kapodistrias, the old mosque, the church of Agios Georgios, and the warehouse of the fleet, which today houses the archaeological museum with exhibits from nearby sites. The houses of several leaders of 1821 are still preserved there.